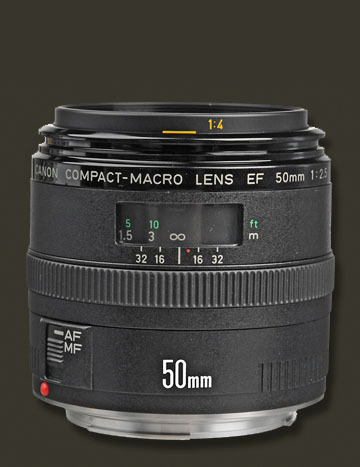 Typically traditional macro photography lenses are generally between 50 and 200mm in focal length. But what's the best length lens for the macro photography you do? Almost all of them have a fixed focal length-they don't zoom, so you want to get it right when you choose yours. 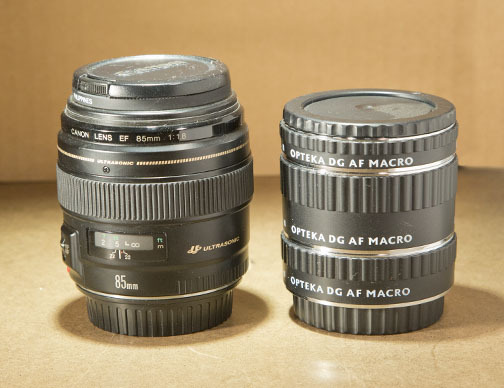 The longer macro lenses have a lot more glass and are quite a bit more expensive. With a longer working distance they are good for photographing insects that won't stay put if you get too close. The intermediate sizes around 100mm are the most popular and usually the working distance is in the 6-12 inch distance range. 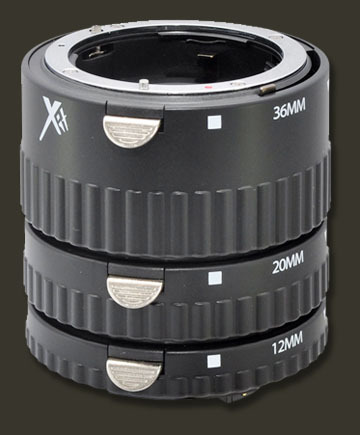 The shorter lenses are good for general macro photography and are the most affordable for you. They require a close working distance to the subject. The really short macro lenses are for cameras with small sensors. Depth of field improves but you have to work at very close distances. 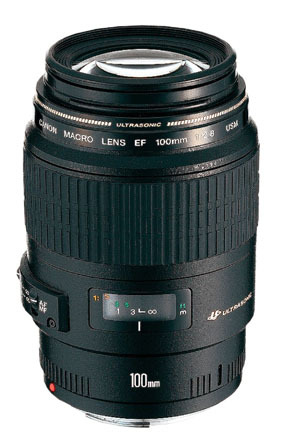 Many zoom lenses have macro settings, but they often don't have a full 1:1 magnification capability. What's that mean to you? Not much. You really don't have to have a 1:1 magnification to get some great macro shots. 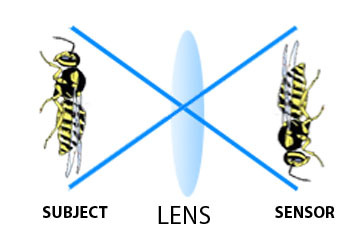 A true MACRO lens can produce an image on the sensor where the subject is exactly the same size at it is in real life in front of the camera. If the object is taller than the actual physical dimensions of the sensor, part of your subject will be cropped out of the frame. In the days of film photography, macro photography was very technically challenging. Because many modern digital cameras have smaller than full-sized sensors, it's easier to get good results with macro photography. One of the macro photography techniques available that avoids the expense of getting a true macro lens is using extension tubes. 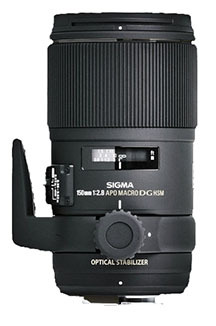 The tubes contain no lens elements so there is no degradation of the image at all. It's an oldie but goodie macro technique. I've used a Canon 85mm f1.8 lens combined with these stack-able extension tubes as a handy macro lens alternative many times. 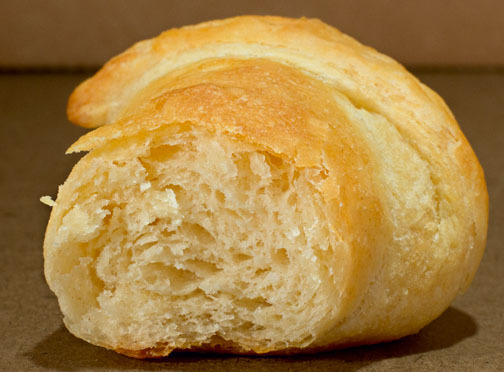 I used this 85mm lens with the largest extension tube to take this photo of the small croissant. With a normal minimum focusing distance of just under 3 feet for this lens, I would not be able to get enough for a decent shot of the texture in my subject. With the single 31mm extension tube, my minimum focusing distance goes all the way down to about 9 inches or about 1/3 of the distance. 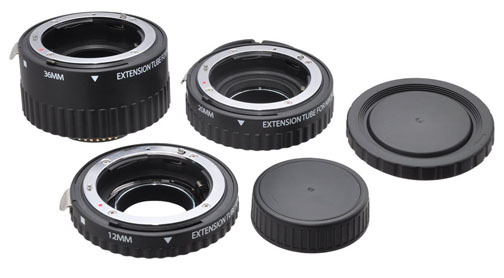 Extension tubes are stack-able and can be stored with lens caps on both ends to keep them dust free. Using all three at once would more than double my ability to come in closer and get a great magnification. Here is a very popular video that was posted on youtube by a very talented and very experienced insect macro photographer. He uses a rather unusual macro lens system, but it works great for him. I'm not a big fan of the clunky flash setup he uses, but he gets GREAT PHOTOS and that's what really should matter to you. It's really a great video to watch about his style of macro photography. He talks about the importance of persistence. I hope you enjoy it. I've purchased a good majority of my camera equipment from the following resources. Good luck with your macro photography!